One of my close friends is getting married in a year & we spent this past weekend looking at headpieces, beads, & lace deciding on how she would like her headpiece. Her main color is deep plumb & her dress is pure white. She is a very understated person in her jewelry & doesn't plan on wearing much. She is only going to wear her engagement ring & some of her grandmother's jewelry. This simple & understated style is going through all of her wedding attire. She's opted for a simple headpiece instead of a veil & her dress is super sleek. 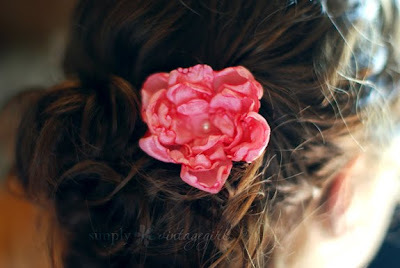 though I think these paper flowers would be perfect as part of her headpiece! and look at this great vintage lace. I don't think she'd like to see too much of this....but I have some. I think those birdcages would look great as wedding decor!